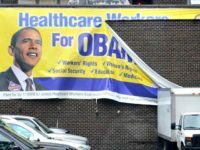 President Donald Trump and Congressional Republicans have expanded health care options and lowered health insurance premiums while protecting patients with pre-existing conditions, contrary to Democrats’ narrative. 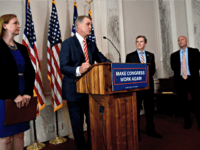 Sen. David Perdue (R-GA) continued his effort to promote the #MakeCongresWorkAgain campaign by holding a press conference on Tuesday at the Capitol with fellow Republicans. Conservative senators have sent a letter to Majority Leader Mitch McConnell (R-KY) demanding that lawmakers confirm President Donald Trump’s 271 outstanding nominations and pass a spending bill before the August recess or skip the break altogether. 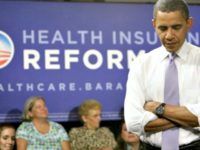 A report suggested that Republicans might reveal in the next few weeks a new push to repeal Obamacare before the 2018 midterm election. Sen. Lindsey Graham (R-SC) told Breitbart News in an exclusive interview that he continues to work with Vice President Mike Pence and the White House on a revived Graham-Cassidy Obamacare repeal bill. Jimmy Kimmell blasted Congress for not funding the CHIP program and then urged Americans to purchase Obamacare or pay a penalty. 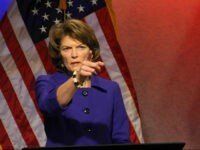 Lindsey Graham and Bill Cassidy will try to get Lisa Murkowski to vote for the Graham-Cassidy Obamacare repeal through carve-outs for Alaska. 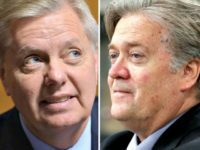 Lindsey Graham told reporters that Steve Bannon and Breitbart News have been instrumental to the push to repeal Obamacare. Sen. Roy Blunt (R-MO) endorsed the Graham-Cassidy Obamacare repeal bill in an exclusive statement to Breitbart News. Family Research Council President Tony Perkins and Susan B. Anthony List (SBA List) President Marjorie Dannenfelser released a joint statement on Friday endorsing the Graham-Cassidy legislation to repeal and replace Obamacare through block grants. 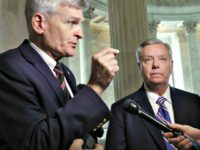 Sen. Bill Cassidy (R-LA) told reporters on Friday that he almost has the votes to pass his Republican coalition’s new legislation to repeal and replace Obamacare through block grants to the states. 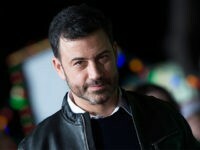 Sen. Lindsey Graham (R-SC) revealed on Fox News on Thursday that Kentucky Gov. 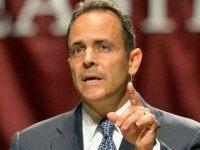 Matt Bevin supports his new legislation to repeal and replace Obamacare through block grants.